Jay Astafa and Angela Lowe have launched a plant-based pop-up dinner series called The Culinary Collective. It seats 24 guests each evening and takes place at a private Brooklyn townhouse. The meal features either 15 or 7 courses (costing $150 and $80 respectively). Use the code "DiscerningBrute" to get 10% off through April 7th 2015! Another new book worth reading is by actor David Duchovny (Californication, The X-Files). 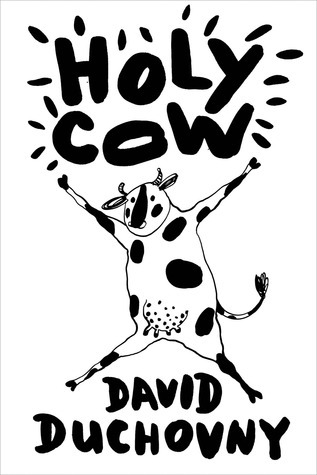 He's written his first novel, Holy Cow, and critics agree that it is a hilarious, dark and bizarre story of farm animals seeking freedom. "This is the story no one wants. This is the story I've sat with time and time again since 2011, wondering where it could go, and who would dare look... My hope is that, through this work, we can all look, care, share, and change." The new short film, The Slaughterhouse, was shot in 2011 as a collaboration between Jo-Anne Macarthur and Kelly Guerin. Music A. Taylor: "Who Will Remember".